Huawei’s Honor 7C is our new guest who came today to show its face in markets of Pakistan. 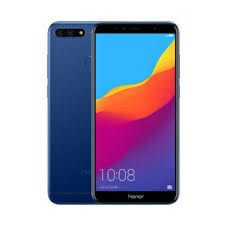 Still, it is not clear that what will be future of this subsidiary brand but for now we have decided to call Honor 7C by Huawei because still its a parent company of this brand. Following the footsteps of OPPO, Vivo and OnePlus this brand are going to introduce Honor 7C’s brand separately. In today’s world peoples prefer the camera and in the first place, they want to make sure that along with other specifications its camera should be worthy to take snaps. Huawei Honor 7C’s camera is quite impressive because it has got dual lens setup installed on the back side which is consist of 13 + 20 MP lens. On the fore side of Huawei 7C, 8 MP sharpshooter is standing to make sure that no one crosses without a decent selfie with you.